Are you looking to refresh your current landscaping or install a new lawn? You've come to the right place! 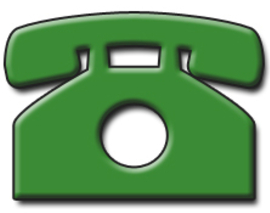 Oakley's Landscaping has been family owned and operated since 1985. With thirty-five years of experience, we serve Paducah and surrounding areas with all their landscaping needs. Our many other services include hydroseeding, drainage installation, dirt work, mulching and gravel. We pride ourselves on quality services and beautiful results for a reasonable price. Check out the full list of services and peek at our range of on-site photos. Contact us for a free estimate! It's hard to go wrong when using mulch. It makes beautiful top dressings for gardens and flower beds, but it also has great benefits for plant establishment and growth, as well as creating a barrier for weeds. A thin layer of straw can reduce water evaporation by as much as 35% over bare ground. Although straw and sawdust can be effictive in some instances, mulch such as grass clippings and fresh wood chips, are almost always extremely beneficial over bare ground. Mulch is used around transplanted plants to alleviate the plant's roots when they are most susceptible to enviromental conditions such as weather and plant diseases. Mulching will improve soil aeration and water penetration while also reducing or preventing run off. It also assists in erosion control and reduces soil compaction. Weed control is just another great benefit of using mulch in gardens and flower beds. Fabric barriers can clog up and reduce air and water flow which can lead to weed growth on top of the fabric. Mulch can prevent weeds from sprouting up and some mulches even have chemicals that surpress seed germination. So if your looking to save time and save money, call Oakley's Landscaping for a free estimate! Whether you just want mulch for your existing beds or want all new designed beds we can give you beautiful results! Pythium diseases; sounds bad right? Well, these water-mold diseases can spread fast, but Oakley's Landscaping can help you get rid of them quick! Commonly called "water molds," these diseases are caused by a fungus that can damage the crown tissue and leaves, which could potentially kill the plant. It appears as patches of water-soaked leaves that may look or feel greasy, or sometimes may appear as yellow patches of turf. The disease can be activated with warm weather, humidity and wet soil. When leaves are wet for more than 12 hours during consecutive days, this can also induce water mold patches. The last two months weather here in town has been prime for these diseases to thrive. Warm season grasses such as St. Augustine, Bermuda and Zoysia are most susceptible to this disease. Some steps you can take to help reduce your risk of getting mold in your yard are simple and can be very effective. Avoid watering more than really necessary and provide good drainage to prevent water-logged or moist leaves. Not sure what to set your irrigation system on? We can come out and program it for you! Mow your lawn when it is dry to avoid spreading more fungal growth through your mower, shoes or grass clippings. Increasing your mowing height and frequency can also lessen damage. If you still end up with a pythium disease in your lawn, Oakley's Landscaping can come out and work with you to get your lawn back up to snuff! Put away your garden hose and pick up the phone! 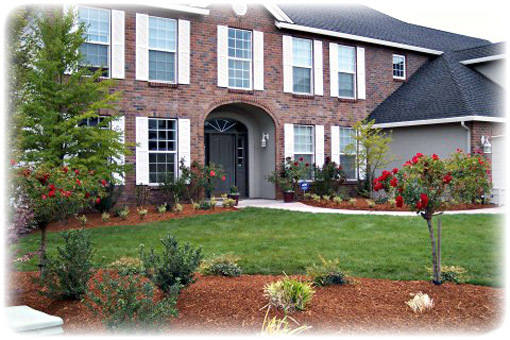 Let Oakley's Landscaping install a new irrigation system to do the watering for you! Save time, save water, save plants and most importantly save money while you can rest easy that your landscape is recieving the exact amount of water it needs. A Rain Bird system will be programmed to spread the precise amount of water with even coverage over the entire yard, saving you money by conserving water. Besides saving money and time, proper watering can also reduce risk of diseases that can potentially kill your landscape. We can install any size system that meets your lawn's needs. Also we install drip irrigation which is ideal for flower beds and vegetable gardens! Give us a call for a free estimate!